Downey Daily Photos: Do you have your tree? Christmas tree lots are busy places this weekend, but not late on a Sunday evening. 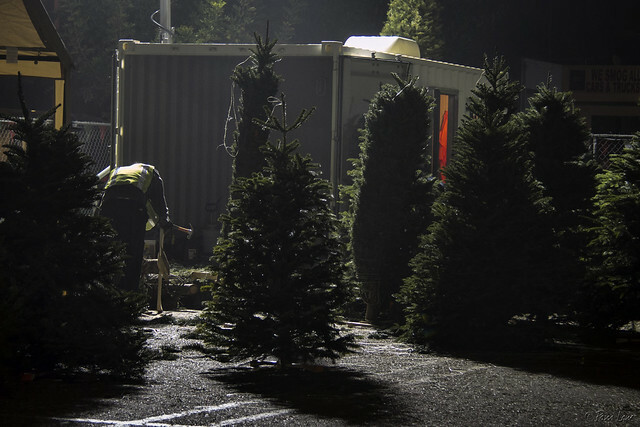 Without a customer in sight, the attendants at this lot work at unpacking the trees and adding temporary stands. Never worry about the size of your Christmas tree. In the eyes of children, they are all 30 feet tall."